During the first months of the Innovators & STEAM Leaders Program (ISL Program), our classroom has been full of inquiry and hands-on investigation, as well as joyful storytelling and laughter. As a class, we have explored quite a range of questions in just the couple months that we have been together. We have been so pleased with the impact of the program and how much our students and parents have enjoyed it. 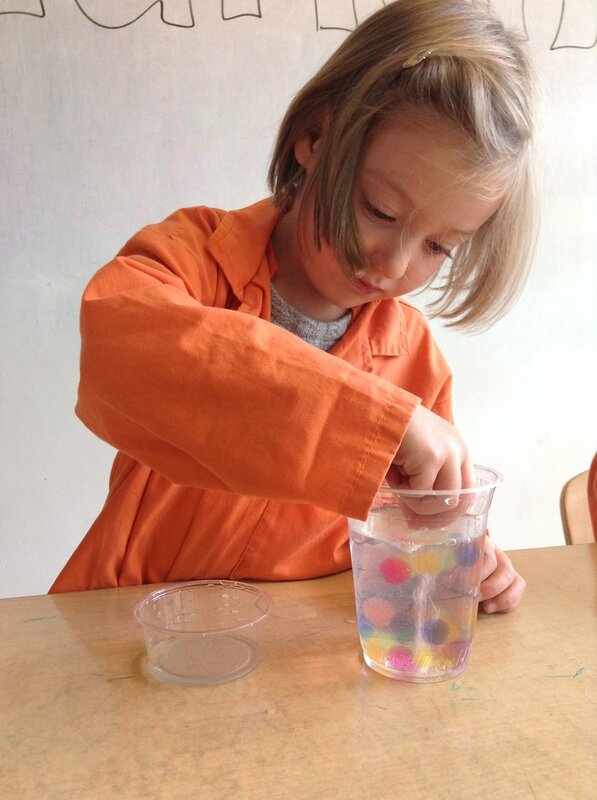 We want to share a few snapshots of our classes to bring the program to life for you. Every week we center our class around a couple interesting questions and they enable our students to practice their problem-solving and critical thinking skills by exploring questions that are relevant to their daily lives. It is engaging, fun, and important for the future. Here are a few memories…. Why is our skin so important and not like a crocodile? We found ourselves curious about what makes our skin so special. We wondered about ideas such as ... Why do we need our skin? What would it be like if we had skin like a crocodile? These questions may seem simple, but in reality they are very interesting, complex, and have so many applications. How does the skin of an animal help it in a particular environment. What do you notice about the skin of these animals? Does our skin look like a lion’s? A turtle’s? After learning more about the layers of our skin and how it protects our bodies, kids approached solving the problem of how can I help my skin get better more quickly if I get a scrape? Not only is this an interesting question, it has all kids of cool applications in the future because different types of skin are everywhere (1) our bodies (2) wetsuits (3) rocket ships (4) car bodies (5) new adaptable clothing (6) or iPhone cases to name just a few. How and why does my blood move around my body? Another week, we investigated how does my blood get all the way to my arms? We learned that circulation is how the blood in our bodies gets from our hearts down to our toes, and then back up again! 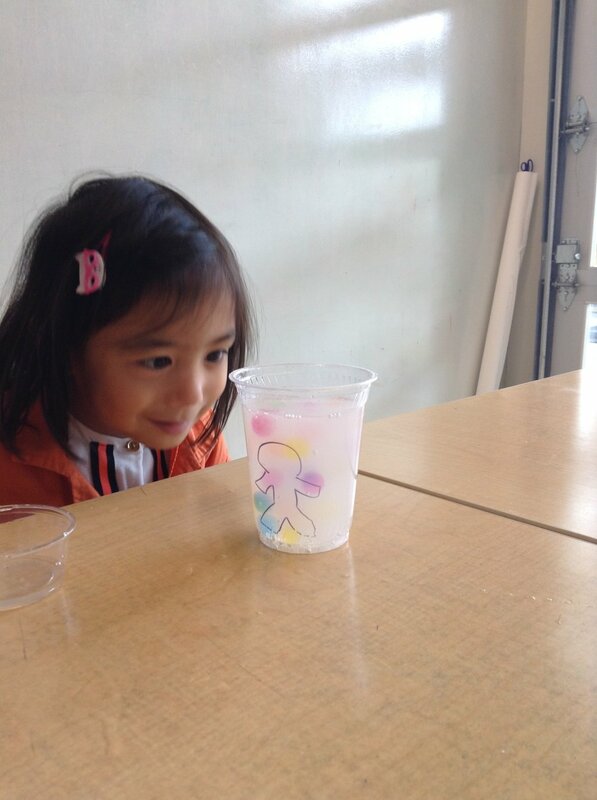 Since we can’t see the blood inside of our bodies move, we wondered… what can we see move around? 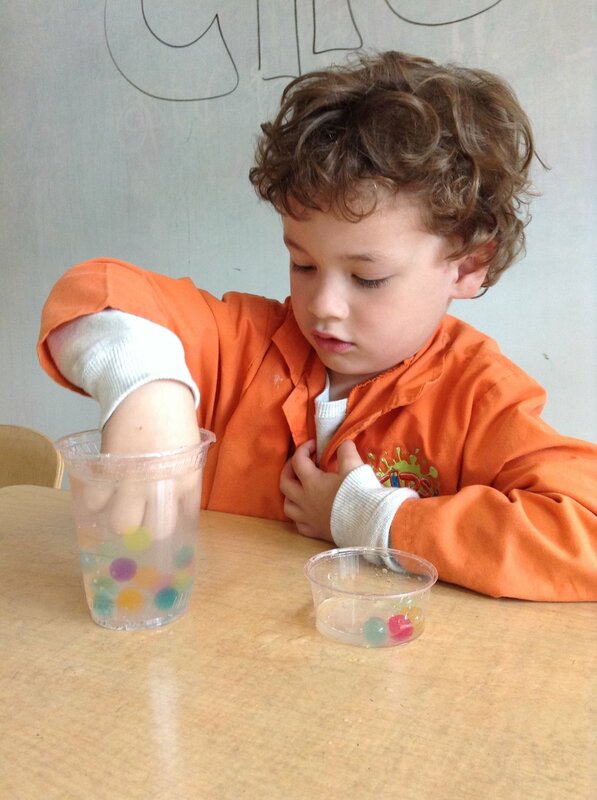 Whether it’s cars on a track, jelly marbles in a cup, or our bodies in the classroom, we experimented with several ways that we can move things around, just like our heart circulating blood throughout our bodies. Circulating blood throughout our bodies gave us the opportunity to practice our pipetting skills and indirectly introduced the concept of pressure. We discovered that getting blood down to our feet, far away from our heart, is hard work! Just wait until we get to explore how critical blood is to transporting oxygen to our muscles and in helping us fight colds.